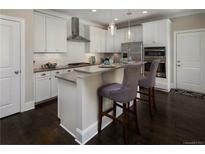 Find Mint Hill, NC Condos for sale. View Photos, Maps and MLS Data Now! Home completed in 2016. Buyer must take delayed delivery. MLS#3484902. One Nice Place Realty. New Construction Projected completion in Summer 2019. MLS#3452657. One Nice Place Realty. Davis Trace - The lawn and landscaping maintenance are included in the HOA! MLS#3454998. Allen Tate University. New Construction Projected completion in Summer 2019. MLS#3452664. One Nice Place Realty. New Construction Projected completion Summer 2019. MLS#3452672. One Nice Place Realty. New Construction Projected completion in Summer 2019. MLS#3452646. One Nice Place Realty. New Construction Projected completion Summer 2019. MLS#3452634. One Nice Place Realty. Enjoy time on the patio in this active community. MLS#3287355. Keller Williams Huntersville.